Whether you're a grandparent or a grandchild, the first thing about Tarpon Springs, Florida that will grab your attention is the proliferation of sponges. All sizes and shapes. Soft. Squeezable. They sit on sponge-fishing boats. They nestle in "for sale" baskets in front of shops along the downtown historic district's Dodecanese Boulevard. They're represented on signs advertising Tarpon Springs. Everywhere, sponges. The abundance of sponges reminds me of the 1967 "Star Trek" TV series' episode, "The Trouble with Tribbles" -- small, soft, fluffy, rapidly-reproducing organisms. And why not? In the 1890s, it was sponge-diving that began bringing commercial prosperity and tourism to Tarpon Springs, a small city located near Tampa and St. Petersburg on Florida's west coast. Tarpon Springs rests along the Anclote River, which flows into the Gulf of Mexico. Little by little, Greek immigrants settled in Tarpon Springs and earned their living in the sponge industry or by opening Greek restaurants. In the first decade of the 1900s, hundreds of sponge divers wearing diving suits and helmets, deposited their cache of retrieved sponges onto dozens of boats that then headed back to the dock. Sponge buyers created the Sponge Exchange, and there, in the courtyard of the sponge exchange building, sponge auctions were held twice weekly. The development of deep-sea diving equipment made it easier for spongers to go deeper into the sea, and that increased the sponge harvest. The result was that Tarpon Springs became known as the Sponge Capital of the World. The public can still witness sponge auctions. The sponge you keep by your kitchen sink, the sponge you use to wash your car, the loofah by your bathtub, even your sponge mop ---- they didn't start out looking like that. Sponges are animals that cling to rocks and coral and have a dark, elastic skin-like coating with openings the sponges use to breathe. Sponges have a gelatin-like substance that divers squeeze out. Divers then pound and clean the sponges. Your grandchildren will understand the whole process if you take them to the Spongeorama Museum where a brief movie tells the story of Tarpon Springs, the history of sponge-diving and readying sponges for market. The museum is part of the Sponge Factory, where sponges and other products are for sale. The museum and movie are free. 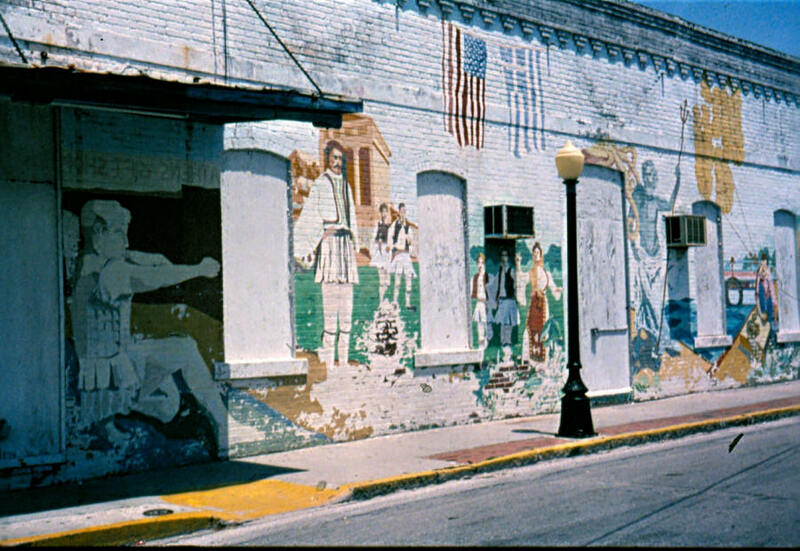 Reportedly, Tarpon Springs has the largest Greek population outside of Greece. This cheerful lively little city is a delight for visitors of all ages, but for kids it has two specific allures -- the boat rides and the bakeries. Take the boat ride that enables you to watch a sponge diver submerge himself in the water and emerge holding a sponge or two. Next, order the always-reliable Greek salad, a gyro, lamb skewers, souvlaki and other ethnic dishes served at a delightful choice of delicious Greek restaurants like Mykonos, Hellas, Mama Maria's Greek Cuisine, etc. And don't be surprised if you hear a waiter or local customer exclaim, "Opa!" 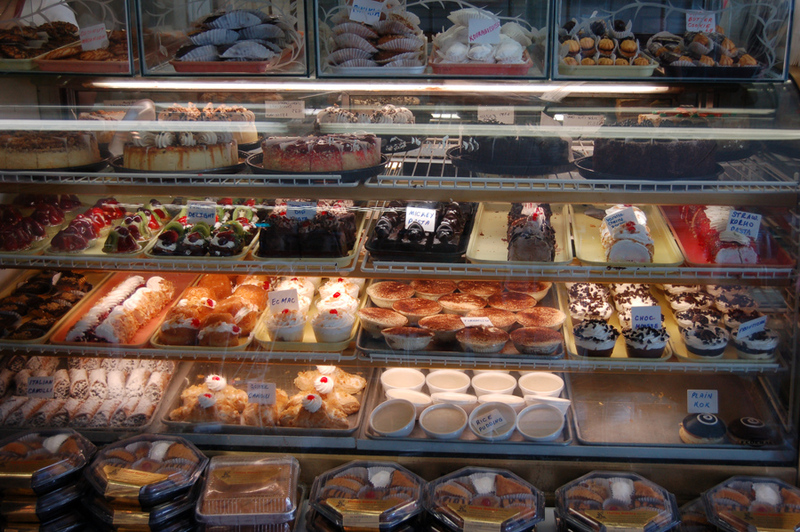 Some of the restaurants have bakeries, and I guarantee that you and your family members will salivate at the sight of those creamy, sweet, yummy-looking pastries and desserts. Baklava, anyone? Prepare to hear your grandkids plead, "I want that...and that...oooh and that." Pun intended: Tarpon Springs' is a real treat. Stroll along Dodecanese Boulevard and you're bound to find a clothing item, a trinket, a memento and yes, a sponge or two that you like. Dodecanese Boulevard is lined with small shops, and on and around this primary thoroughfare, you'll find plaques explaining Tarpon Springs' history. You'll also come across a big bronze memorial statue of a sponge diver wearing his rubberized suit and holding his helmet. The Safford House Museum is located at 23 Parkin Court. This Victorian pine house, dating to 1883, is on the National Register of Historic Places and was the home of Dr. Mary Safford, who was a nurse to Union soldiers during the Civil War. She furthered her medical education and became Florida's first female doctor. Quite an achievement! The Tarpon Springs Cultural Center, located in the old City Hall building, hosts cultural exhibits and shows. Seafood festivals, arts and crafts festivals and other festivities are part of the city's annual calendar of events. For example, Greek cuisine, dancing and live entertainment create a joyous atmosphere during Night in the Islands, a festive event held at the Sponge Docks on select evenings from April through September. For a relaxing, leisurely experience, take a stroll along the charming streets of the Spring Bayou neighborhood, where the stately homes were once the domain of wealthy winter vacationers. Tarpon Springs is a nice getaway destination for multi-generational families. There are just enough diversions, attractions and excellent Greek restaurants to fill a casual weekend. Afterward, if anyone should ask your opinion of Tarpon Springs, you can offer a pleased smile and jokingly -- and truthfully -- reply, "It's Greek to me!"